Home » Holidays » Montessori Community » Valentine's Day » Valentine's Day in the Montessori Classroom: Why Should We Celebrate? 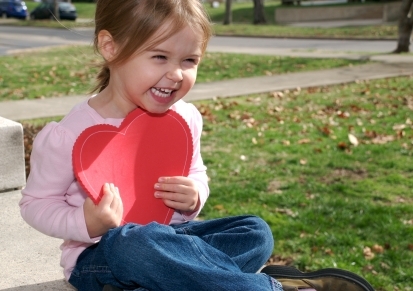 Valentine's Day in the Montessori Classroom: Why Should We Celebrate? I’ve heard a lot of grumbling about Valentine’s Day this year. People are complaining about the cards (“What’s the point? They just get thrown away.”). There are complaints about feeling obligated to bring in treats (“Who needs more sugar?”). They complain about the phoniness of it all (“The kids only want the candy”) or about whether preschool and elementary children should be exposed to the notion of “romantic” love. I’ve even heard teachers grumbling about the hassle of having to make Valentine’s bags, the chaotic excitement of the build up to the BIG day, and about the mess the room will be in once the children go home! Part of our job as Montessori teachers is to hold fast and true to what is precious to children. If children delight in receiving a card that says “I think you’re a great friend,” then we should delight along with them and provide them the opportunity and environment to do so. Why Should We Celebrate Valentine's Day in the Montessori Classroom? When I reflect back to Valentine’s Day when I was young, yes, there was excitement! That’s what it was all about! I remember agonizing over which box of cards to buy. Should I get the ones I liked or ones that my friends would like? Then, there was the dreaded pre-Valentine’s spelling test where my teachers thought it would be a great idea to give us a test on everyone’s names to make sure we spelled them right on the card. Next came the deliberate choosing of the cards. Back then, we put to whom each card went, not just sign our names. We certainly didn’t want the wrong person to get the wrong sentiment! And what to do with that “Secret Admirer” card? When Valentine’s Day finally arrived, the air was thick with anticipation. We’d arrive at school and empty our Valentines into the big classroom mailbox that we’d all helped decorate. Lessons in the morning were torture! Finally, in the afternoon, the moment we’d all been waiting for. The teacher picked a few helpers to distribute the cards while we all sat quietly in our desks. The room mothers passed out cupcakes and nondescript red punch. We all sat around opening those precious cards and eating our Valentine’s feast. We felt special! We had friends! We were loved! I carried my Valentines home with sticky fingers and spread them out on the table to share. This was my favorite. This one was from my best friend. This was from the cute boy with red hair and freckles. I ate chalky tasting candy hearts and heart-shaped red hot candies. It had been a great day! Valentine’s Day isn’t all about romantic love. It’s about friendship. It’s about the love we share with those around us. It’s about teaching children to care about those around them. As a Montessori teacher, I request that there be only handmade cards. It is a great way to see the creativity of the children. Some are elaborate ones that must have taken hours to make. Others are maybe not so involved, but the sentiment remains. As our Montessori school has a no candy or chocolate policy, we ask that our classroom parents provide a healthy snack, They gladly bring in veggie trays, fruit plates, and 100% juice. And you know what? The children appreciate that as much as if it were sweets because, after all, it’s the thought that counts. 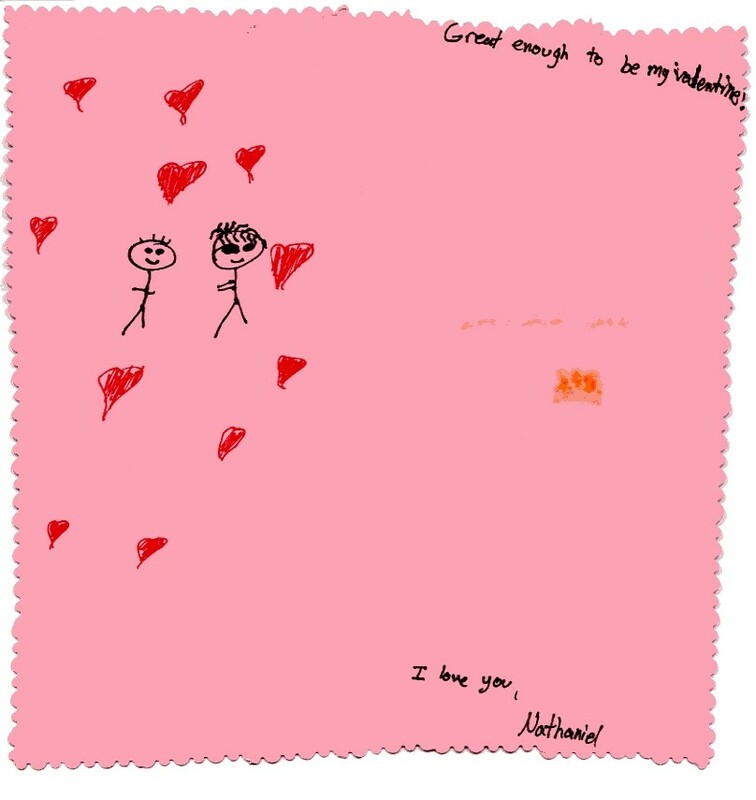 Last year, my then-10-year-old son, made pink greeting cards for each of his classmates, teachers, and family members. He hand drew them and each one was personalized; his friend that played the guitar had a picture of a guitar player that said “You Rock, Valentine!” They were the cards of the young and the innocent. The cards of a young boy wanting to say, “I’m glad you are part of my life.” I photocopied each of those cards and keep them under my bed in my keepsake box. The one he made for me lies in my nightstand drawer. I pull it out every once in awhile and smile at the lasting memory. Those cards will never be discarded as “just another Valentine”. © North American Montessori Center - originally posted in its entirety at Montessori Teacher Training on Wednesday, February 13, 2008. I am a primary guide in a public school program. Its quite good I must say. :) We offer traditional and Montessori so everyone will celebrate the same day. We will have "the story" on Mon. plan for our celebration on Tues. make special family cards on Wed and celebrate on Thurs. Fr is a teacher work day so we can recover! Thank you so much for sharing how your classroom plans on celebrating Valentine’s Day this year. Your special treats sound delicious and I’m sure your children will enjoy the festivities. Wonderful, thanks for sharing your refreshing thoughts and ideas. I also work in a Public school Montessori program. We use Valentine's day as a way to show our love for our school. We offer full and partial scholarships to many low income families and also pay for teaching assistant hours the school district does not fund. Families donate the money they would typically spend on candy and comercially made cards. The Art teacher and the Art committee volunteers work with the children and make valentines in which the children write about what they love and value in our community. It is one of my favorite times in the year because it is such a lovely opportunity to appreciate how fortunate we are.